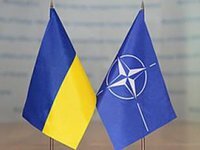 Ex-NATO Deputy Secretary General Alexander Vershbow has said he hopes NATO will continue to seek unimpeded navigation of Ukrainian ships and entry of ships into Ukrainian ports. Vershbow made the remarks during the Kyiv Security Forum in Kyiv on Friday. Ukraine has resisted Russian aggression. Multinational battalions were created under the leadership of various European countries... NATO can change along with reality. The alliance is not only a military alliance, but also a political one in which all members have common values. We are a community with joint future, he said.